Websites of shops that sell rat related items. "Whatever you call them - rats, ratties, fuzzies - this is the best place for you! 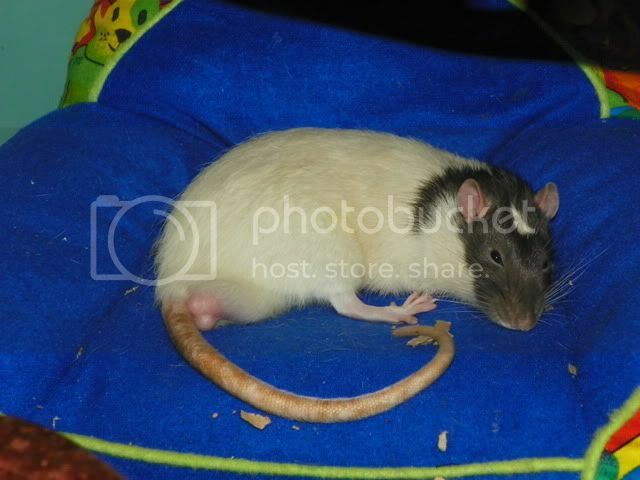 We've got out-standing hand-made hammocks especially made with supreme ratty comfort in mind. Each comes in a fantastic range of material designs to maximise your ratty interior decor opportunities. Your best pal can have the coolest pad in town and at a price that won't burn a hole in your pocket!!" RatPad Hammocks has reopened, and you can now shop on my etsy store here. RatPad Hammocks - Awesome, funky, handmade hammocks starting from £3.50! I RatPad and so do my ratties! I have order several times (as Rowan can testify) and will be ordering again in the future. Albert's favourite thing in the world is his Rat Cosy- I always find him in it in the morning and he guards it from the others- no one else is allowed in! Slave to: Hero, Inch, Arthur, Sullivan, Woody, Hercules, Yorke, Jefferson & Valentine; Mavis, Bliss, Florence, Venus, Harriet, Summer & Grace. Angus, Finch, Kingsley Marley, Percival and Rupert - Heart Rats! All my rats love their double hammocks. They are very well made and hold up well to the 'sleepy chewing'. Thank you from all the rats at Charming Rat Rescue. Love all the stuff I've ordered and so do my boys. Really good quality and good prices. Also really helpful & friendly (even with all my silly questions ). Tried to edit my post but I can't figure out how! Note that members are not permitted to edit any posts, please use the report function to request an edit by the admin team.